Good news for all Nokia 5730 XpressMusic owner. 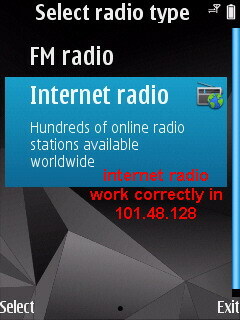 The music, gaming and messaging device has been updated from version 100.48.122 to V.101.48.128. 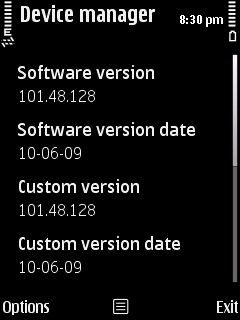 Firmware version 101.48.128 is available through the Nokia Software Updater or over the air. In case you don’t know how to update the firmware you can read our useful tutorial. As the 5730 features UDP you don’t need to back up all your personal data. You can find the list with changes and improvements after the break. Hi,man,I come from China,I found the SEAP of the E75 101.48.128 has been released in the October。What’s this version?The Europe? Why is there no notification light for missed alarms and calendar dates? 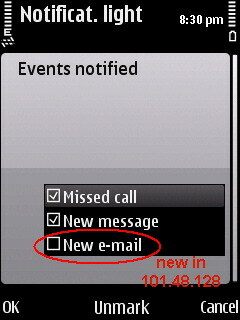 I don´t understand this, because my old Nokia phones used to support this behaviour? @Aymen Ka, Which country would that product code be? Can someone post the Product code for EU? 3d screen of the device drivers with low perfomance ..
music player visualizations shows very slow ..
n95 8gb was fast ..
by 5730, but on n95 8gb???? I have updated the version of my Nokia 5730 but since I updated the software I can clearly feet that the sound volume is reduced before update. hi, i just got this phone about 3 weeks ago and its firmware version is 100.48.122 when i check for updates it tells me there is no update so im going to change the product code. I noticed that it already has the option to select a notification light for new emails and the internet radio works well?? Why is that?